Ideal for: Areas with little natural light. Ash is once again becoming popular and with justification. 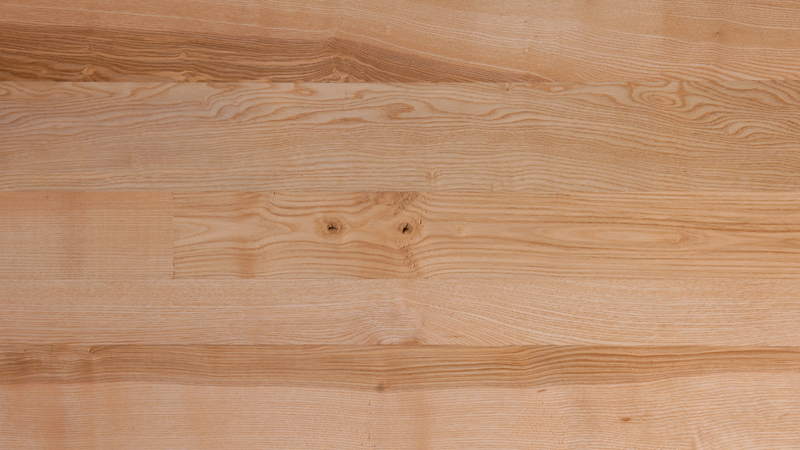 It satisfies the current trend for paler woods and is visually interesting with a varied and flowery grain pattern. The ash trees in England tend to grow with a barrel of dark olive colour in the middle which, when converted into flooring, creates an interesting contrast with the blond wood. Our ash flooring is ideal for bedrooms and for areas where a light Scandinavian feel is desired and it is also particularly suitable for staining.